Meguiar's Supreme Shine Microfiber produces amazing mirror-like shine on All finishes. 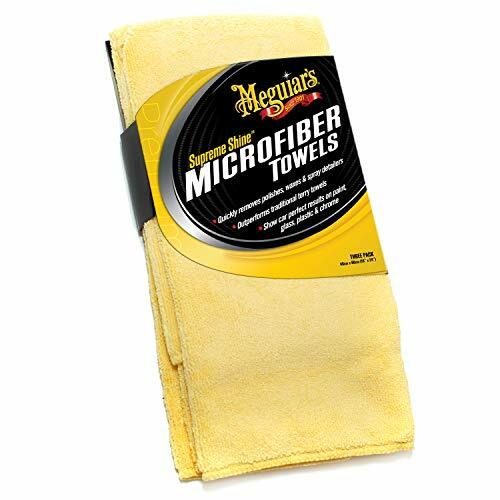 The thick, deep, dual-sided microfiber pile absorbs more product quicker than traditional terry towels, and safety edging eliminates the possibility of swirling or scratching. These towels are prewashed for maximum absorbency and are safe on all paint and clear coats. Since they are rusable and machine washable you can use them again and again to keep paint pampered and swirl-free. 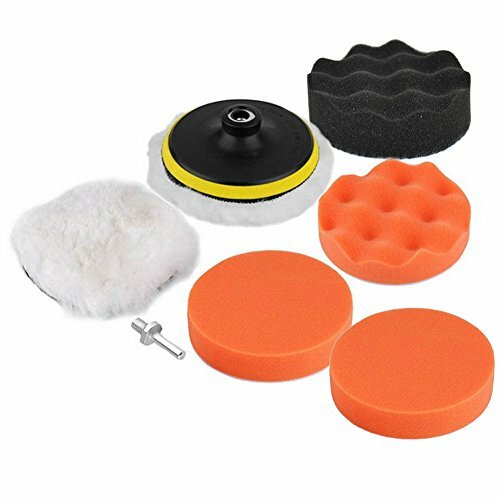 Brand: Meguiar's | Manufacturer: MEGUIARS INC.
Package Includes: 16pcs 3" Sponge Polishing Pads, 2pcs Woolen Buffer Pads, 2pcs Drill Adapter, 2pcs Suction Cup. Suitable: Used for all kinds of coat paints's waxing, polishing and sealing glaze, to clean and improve their lightness; And for auto car detail polishing. Adhesive backing, you can change pads just in seconds. 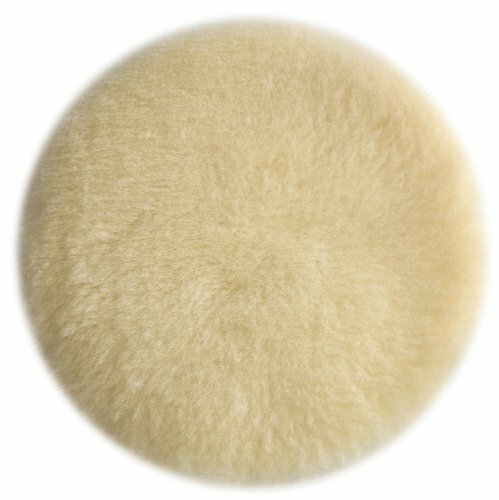 High Quality: Prime quality wool pad, sponge pad, bendable, washable and reusable. Different colored sponges have different softness, you can choose as you need, suitable for polishing rough and small areas. Professional wool and foam pad buffing, polishing and finishing system. Efficient cutting and polishing the most difficult car oxidation coating, scratches. Can be used in pneumatic or electric polishing machine. 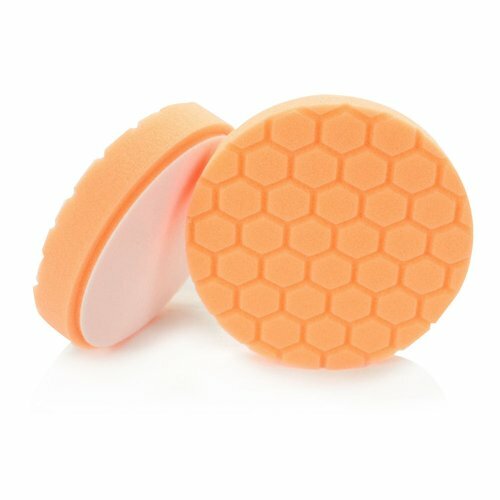 All sponge polishing pads should be cleaned and leveled before use to ensure that there are no particles left. After use, polishers should be cleaned immediately and dried in a cool place. Hex-logic pads are engineered and developed for today's pickiest detailing professionals. Engineered, developed and tested to the strictest and highest requirements of our OEM clients, these pads utilize the best foams from around the world and the latest of testing and research and development! Unlike traditional pads, the Hex-logic pads use a system of precision, laser cut hexagons to not only distribute the right amount of product throughout the pad, but also provide 100% coverage on flat or rounded/angled surface. 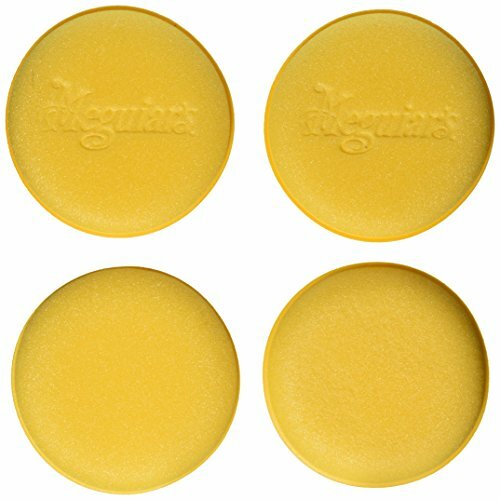 Meguiar s Supreme Shine 4" Foam Applicator Pads let you easily apply mild compounds, car polish, car wax and other auto care products. These polishing pads are made of an ultra-soft tight-cell foam that provides smooth, even application on all surfaces. Ideal for use on paint finishes, wheels and tires, and on surfaces including leather, vinyl and rubber. These versatile foam pads are machine washable and highly durable, giving you multiple uses from each pad. Use by hand. Pack includes 4 pads. 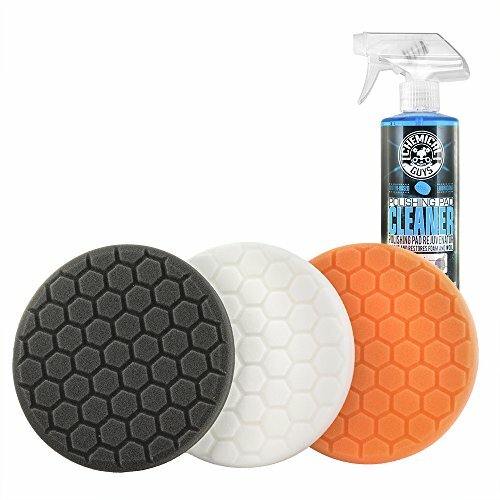 The Orange Self-Centered Hex-Logic Medium/Heavy Cut Scratch and Swirl Remover is a firm, high density foam pad that is ideal for scratch and defect removal. This pad offers the correction of a typical compounding pad while at the same time allowing the polishing ability of a light cut foam pad. When used with heavier compounds it will remove moderate swirls and scratches with little or no haze. It is an all around pad that will work on most light to moderate imperfections. This pad features PUR+ (Poly-Urethane-Reactive Bonding). This pad has the most durable and resistant backing plate, it is soft and gentle to paint. The PUR+ backing plates can be washed hundreds of times guaranteeing a perfect grip with every use that is PUR+ technology. This pad also features Hexagon technology, also known as Hex-Logic. Hex-Logic pads are designed to hold product and distribute it evenly over the surface of the pad delivering a superior even finish that is hard to achieve with any other pad. The unique construction of the pads makes them extremely easy to maneuver while distributing the product evenly on the surface. The Hex-Logic pads keep the product in the groves while you start and as the pad is spun and rubbed against the surface, the polish will travel through the hex-groves into the pad, evenly delivering a superior accurate finish. The surface is constantly lubricated which reduces friction and marring. The unique hex laser cut surface of the pad enables Hex-Logic pads to conform to the shape of the surface delivering maximum surface contact. The Hexagon construction forms perfectly to a vehicle's many curves while the unique pad construction reduces unnecessary heat. The self-centered pads are uniquely sized to 5.5 inches making them perfect for big or small jobs. 5 inch PU Velcro Backing Pad. If there are any questions, please feel free to contact us, SIQUK Direct Customer Service Team will spare no efforts to assist with you within 24 hours. 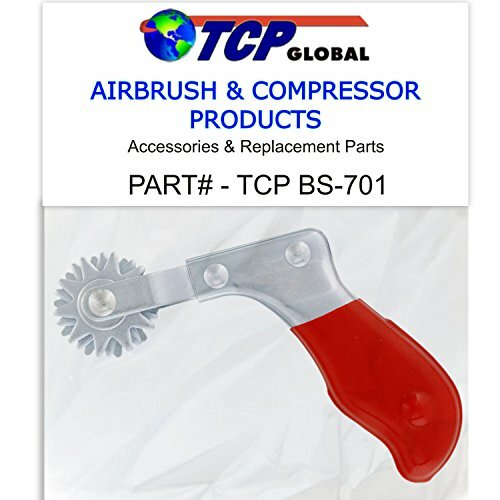 Part# TCP BS-701 TCP Global Brand Buffing Pad Cleaning Spur Prolongs the life of wool buffing pads and bonnets by removing the glazed surface while also fluffing the packed wool Extends life of all buffing pads and bonnets without removing them from the polisher. Simply run the spur over the pad as it is spinning and watch it bring pads and bonnets back to like new condition in seconds. Cleans and revitalizes in one operation. Removes glazed surface and fluffs packed wool. Brings pads and bonnets back to like new condition in seconds. Minimizes washing. Amazon.com Take advantage of a pad that polishes surfaces to their glossiest without causing damage. With a thick, pliable texture of fine lambs wool, this versatile pad is designed for a variety of surfaces and can maneuver in those hard-to-reach corners other pads cannot. Conveniently, this pad mounts effortlessly to a variety of standard random orbit sanders with accommodation for hook-and0loop backing pads. Measuring six inches in diameter and weighing just 3.2 ounces, this item is sold individually. Take advantage of a pad that polishes surfaces to their glossiest without causing damage. With a thick, pliable texture of fine lambs wool, this versatile pad is designed for a variety of surfaces and can maneuver in those hard-to-reach corners other pads cannot. Conveniently, this pad mounts effortlessly to a variety of standard random orbit sanders with accommodation for hook-and0loop backing pads. Measuring six inches in diameter and weighing just 3.2 ounces, this item is sold individually. 3M Dual Lock Reclosable Fastener SJ3560 forms a heavy-duty interlocking mount that is reclosable. Grips and pulls apart, better than other brands! Adhesive backing provides long lasting strong bond. Indoor and outdoor application. High temperature performance will withstand up to 200 degrees. Water-resistant. 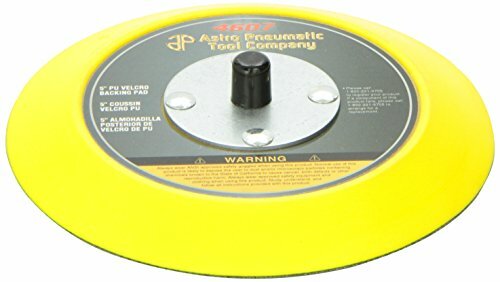 For use on metals, glass, and plastics. Numerous applications. Works especially well with EZ Pass toll pass and others (I-PASS, Fastlane, sunpass, i-zoom etc.) These are the same mounting strips that come with your pass. Included are four strips, enough for two vehicles (provided your pass still has the pre-installed strips), or 1 vehicle if you're missing the strips on your transponder. Kit includes (4) pieces of 3M Dual Lock Tape and an alcohol prep pad. 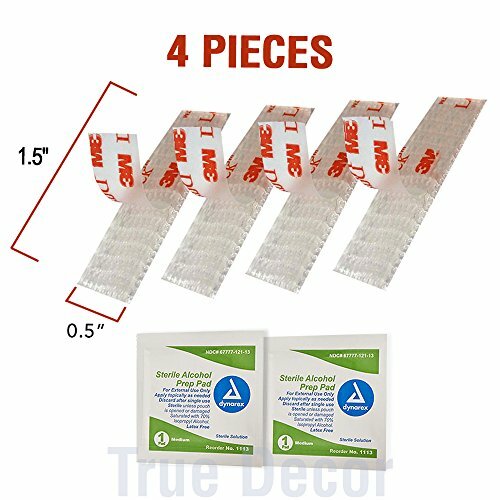 Pre-cut strips measure 1.5 x .5 inches. To make a complete fastener set requires two strips of tape, this kit will make two complete fastener sets. Easy to use peel-and-stick application. Before application clean both surfaces of dirt and grime using the included alcohol pad. Let surface dry after cleaning. Then simply peel off the backing to expose the adhesive, carefully align strip(s) to surface of the object you want to mount (EZ Pass) and then firmly press into place. Lock the other strip(s) to the one(s) already applied, peel off the backing to expose the adhesive and firmly press into place on the desired surface. To ensure best adhesion it is advised to wait 24 hours before applying full weight so the adhesive can cure. The adhesive is also pressure activated so when applying the strips be sure to push firmly and apply pressure for 30 secs. TCP Global Brand 6.5 DA Pad Kit with 5 Waffle Foam & 1 Wool Grip (Hook & Loop) Pads. The 6.5 pad size reduces polisher chatter, resulting in smoother easy buffing. 3M Perfect-It 16oz Buffing & Polishing Compound is 3M's best rubbing compound. It features fine cutting and a fine finish. It successfully removes P1200 grade and finer scratches. Customers say that the product features a quick and easy cleanup. 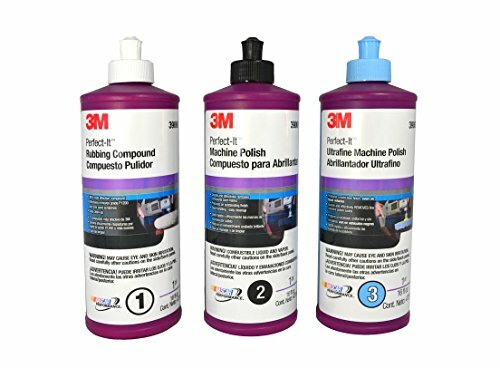 The 3M Perfect-It Buffing and Polishing Compound is a high-performing, quick cutting vehicle rubbing compound. The compound works to blend strength and finesse, while removing scratches and defects at the same time. The automotive paint rubbing compound works great for new clear coats that are popular in shops worldwide today. The product combines mineral and chemical technology which enables it to cut the fastest, while shortening the pad heating. Due to its amazing fine finish, it is even recommended as a rubbing compound on headlights. The Perfect-It brand gives a great finish in minimum time and expense, like a premium performance. This product works great for defect removal, scratch refinement, compounding and polishing. Customers say this polish removes compound swirl marks and gives a high quality gloss finish, even on dark-colored vehicles. WARNING: This product can expose you to chemicals which is [are] known to the State of California to cause cancer and birth defects or other reproductive harm. For more information go to www.P65Warnings.ca.gov. Hex-logic pads are engineered and developed for today's pickiest detailing professionals. Engineered, developed and tested to the strictest and highest requirements of our OEM clients, these pads utilize the best foams from around the world and the latest of testing and research and development unlike traditional pads, the Hex-Logic pads use a system of precision, laser cut hexagons to not only distribute the right amount of product throughout the pad, but also provide 100% coverage on flat or rounded/angled surface. REPLACEMENT KIT for YOUR TORN / WORN / BROKEN pads. Fits 5/8" 11 TPI Spindle. Includes 3 piece synthetic Wool Polishing Bonnets with female Velcro attachement and 1 Backing Pad with Standard 5/8" 11 TPI Thread and male type velcro. 1 Backing Pad with Standard 5/8 11 TPI Thread. This pad has male type Velcro. The Detailer's Choice 6-3568 2 Pack Microfiber Bonnet fits 5 in.- 6 in. polishing/buffing machines. The super soft microfiber can remove wax and polishes without scratching the vehicle's paint or clear coat and give the vehicle a sparkling finish without leaving any lint behind. The elastic band keeps the bonnet firmly in place. Bonnets are machine washable, allowing for several uses. Remember to keep your bonnet clean. A dirty bonnet will cause scratches and swirl marks. WEN Products has a rich history of producing car care items. WEN is proud to have designed and produced power tools since 1951, and in fact, WEN pioneered the random orbit technology that is in use in virtually all waxers today. These bonnets fit all 6 inch waxers. Each package contains 2 bonnets that are made with 100-Percent cotton and designed to be extra soft. These polishing bonnets are designed for use in removing wax and buffing. Make sure to use specially designed bonnets, so you won't damage your car's finish. This is an O.E.M. authorized part. Fits various Porter Cable models. OEM Part Number 54745. Made in United States. 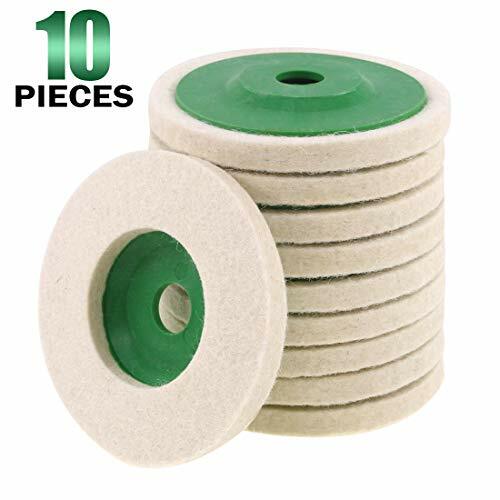 壟Keadic 10 - Piece 4" Wool Polishing Wheel Pads for 100 Angle Grinder 壟Specification: Material: high quality wool Size: Outside diameter: 4"(100mm) Inside diameter: 16mm Thickness: 8mm Quantity: 10 pieces 壟Applicaton: Perfect for metal derusting, glass and ceramic polishing, marble, automotive and wood floor polishing and more. 2. Material These pads are made of soft elastic wool material, which are safety, environmental-friendly, sturdy and wear-resistant with longer service time. 3. 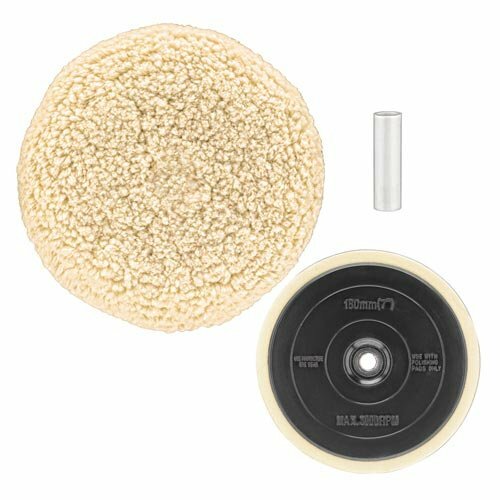 Specification of Products This Kit includes 10 pieces polishing wheel pads with the same specification. The outside diameter of them are 4 (100mm), inside diameter are 16mm and the thickness are 8mm, perfect for 12000rmp angle grinder. 4. Wide Application Our buffing wheel pads are widely used in various surface buffing and cleaning, such as metal derusting, glass and ceramic polishing, marble, automotive and wood floor polishing, etc. 5. Nice After-sale Service We are highly confident with our products. You will not regret if you got them. If you come across any problems, please feel free to contact us and we will reply you within 12 hours. In addition, If you are not really satisfied with these items, you could return or change them freely within 3 months. Therefore, please put your order with no worry. Wish you a good shopping time! 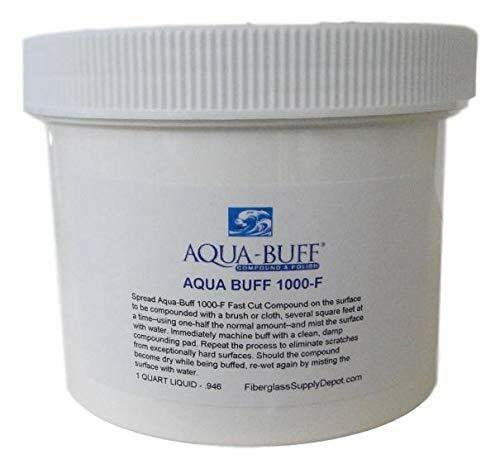 Aqua-Buff 1000-F is a fast-cut compound used for aggressive removal of sanding scratches or oxidation. A great pairing for buffing on hard gelcoat. The grit allows the elimination of deeper scratching. Aqua Buff 1000-F is a "Cookies & Cream" color and is available through Hawkeye distributors. Aqua Buff is environmentally friendly, made from tallows and natural grits, mixed with water for easy use. Aqua Buff Products are economical to use and inexpensive to buy. The Aqua Buff products do not contain solvents, waxes or polymers that obscure the true surface. Aqua Buff naturally cools the surface as it is polished, preventing burn-through and distortion. 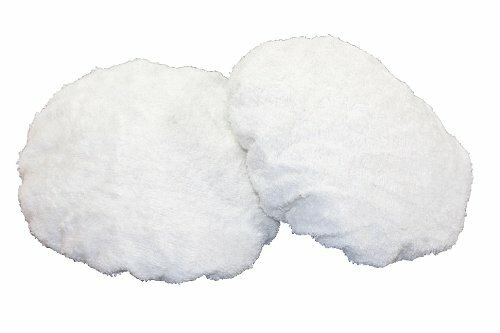 Aqua Buff is environmentally friendly, made from tallows and natural grits, mixed with water for easy use. The Aqua Buff products do not contain solvents, waxes or polymers that obscure the true surface. Water-based. Pair with Aqua Buff 2000 for a high gloss finish. 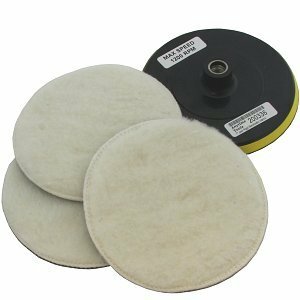 Take the need for elbow grease out of the equation with Microfiber Wax Applicator Pads. They will also eliminate the guess work of how much polish to apply to your car or truck. They do a spectacular job of buffing off waxes and polishes so you do not have to exert yourself, even while keeping your vehicle looking shiny and like new. 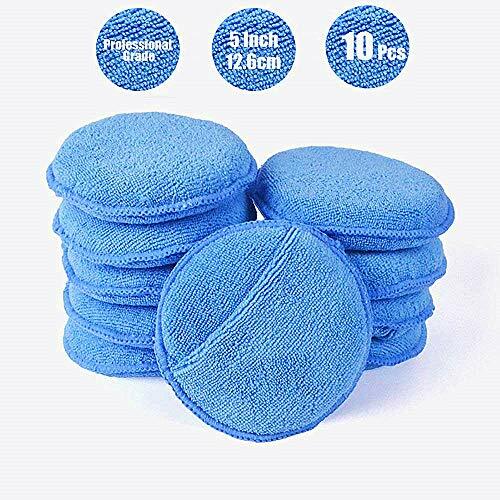 These microfiber applicator pads can be rewashed over and over again for multiple uses, thus eliminating the need for the constant purchases of disposable products. This specially made blend of materials will give you the clean finish you want on your vehicles. This product comes ready to use in a convenient ten-pack, so you can store half of them in your garage and a second half in your car for easy access whenever you need it. 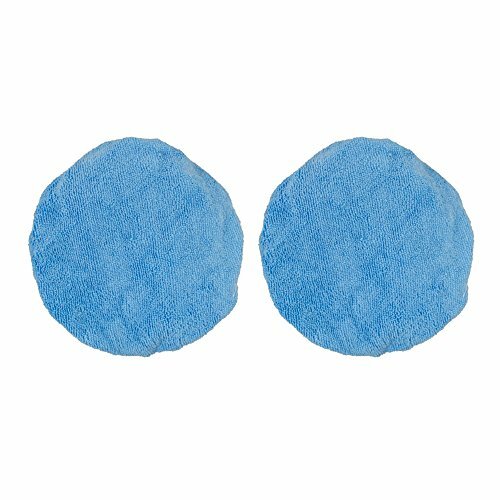 Enjoy quick and painless buffering while using these durable blue microfiber pads again and again. SOFT AND ABSORBENT: AVIS Microfiber Wax Applicator Pad are made with premium 70/30 blended microfiber for ultimate softness, absorbency and longevity. So they can works great for applying waxes, sealants, glazes, dressings and more. NO SCRATCHES: These premium wax applicator pads are inside stitched two times to ensure that the edges never touch the surface of your paint meanwhile reducing surface scratches and improving the application of product. DURABLE AND REUSABLE: These microfiber wax applicator pads can be rewashed over and over again for multiple uses, thus eliminating the need for the constant purchases of disposable products. CONVENIENT: There is a sizeable finger pocket on the wax applicator pads so that you can easily and conveniently use them to spread glaze, sealant, wax, or dressing on any car, truck, motorcycle, or RV. Package : 10pcs microfiber applicators per pack ,100% MACHINE WASHABLE. The random orbital movement reduces the overall polishing time The orbit up to 21 mm enables to quickly obtain gloss and color depth. The electronic feedback control maintains speed constant in all applications. The anti spinning feature prevents the high speed rotations avoiding scratches. Polyurethane backup pad designed by RUPES The tool can be easily used even by unskilled operators The 21 mm orbit is suitable for all polishing operations on all types of surfaces: painted surfaces or recently painted surfaces and finishing applications Denibbing Holograms removing With its 21mm orbit and its 150mm backing pad, the LHR 21 Mark III random orbital polisher is the perfect tool for working large surface areas. The LHR 21 Mark III allows the operator to achieve ultra-high quality finishes, even with limited passes. IMPROVED ERGONOMICS The rubberized front grip of the Mark III offers exceptional comfort for the operator while providing a non-slip surface for control. The improved rear handle also integrates rubberized surfaces for improved feel. Two strategically placed, non-marking, tool rests provide stability when the tool is not in use as well as additional protection against unintended impact. The continued refinement of the BigFoot random orbital platform in Mark III reinforce its best in class reputation, making the best even better. ELECTRONIC SPEED CONTROL DIAL The new electronic speed control dial allows for easy adjustment of the top speed of the polisher without requiring the operator to move his hands. The larger dial is easily adjusted with a move of the thumb. High visibility numbers and a more positive feedback from the movement of the dial make speed changes feel more deliberate, allowing operators to select the ideal speed for the task without any interruption to the polishing process. PROGRESSIVE TRIGGER Adding an additional layer of control is the new progressive trigger. Reduces the overall polishing time - The orbit up to 21 mm enables to quickly obtain gloss and color depth. Electronic feedback control maintains speed constant in all applications. Anti spinning feature prevents the high speed rotations avoiding scratches. TONGTU Polishing Wheel - 8Pcs White Flannelette Polishing Wheel Cone/Column/Mushroom/T-Shaped Wheel Grinding Head with 1/4 Handle for Manifold/Aluminum/Stainless Steel/Chrome etc. * 100% brand new, made with high quality. * Shanks are 1/4 inch round and continue with hex shape so it does not slip on your drill. * For final polishing of interior, flat and irregular surfaces. * Specially designed for polishing recessed area such as mag wheels, motorcycle wheels manifolds. * Fabric layers edge with raising treatment, suitable for metal, jewelry, metal, stainless steel, aluminum products, wood, plastics, ceramics, glass and watches industry of surface grinding and polishing. 1. 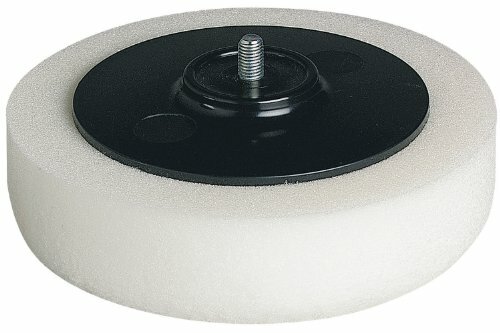 All polishing wheels should be cleaned before use, smooth, to ensure that no residual in the particles. 2. After use, they should immediately be cleaned, dried in the shade. PERFECT POLISHING BUFFING IN TIGHT QUARTERS --- Polishing Wheel for final polishing of interior, flat and irregular surfaces. Specially designed for polishing. SHINING YOUR FADED WHEELS --- illuminate your faded wheels, manifolds, etc. The use of a variable speed drill prevents the wheel polisher from rotating too fast and discarding the polishing agent and prematurely shredding the filler material. NO SLIP--- The Shanks of the polish wheels are 1/4 round, it does not easy to slip on your drill. 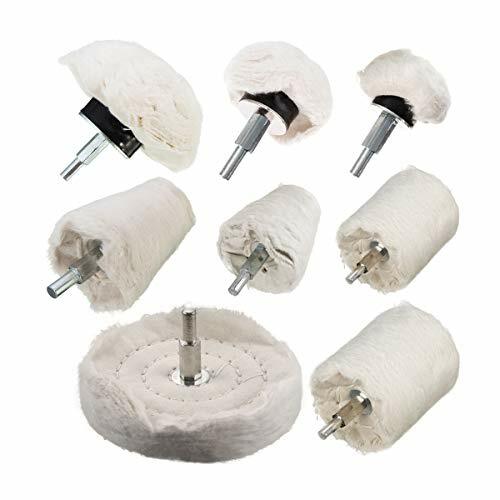 100% QUALITY MATERIAL : Our polishing mop wheel sets are made of high-quality cotton material, and the middle layer of fabric is cleaned with fast chrome alloy, which is very durable and has a very good polishing effect. If you are not satisfied with the wheel polishing kit, please feel free to contact us and we will give you a full refund in the first time. Remember when you had reliable polishing bonnets? Make your car shine like new with a set of WEN Premium Car Polishing Bonnets. WEN has been providing quality car care products since 1951, and now, with these American-made 100% cotton terry-cloth polishing bonnets, we continue our tradition of helping your car look great. Our specially designed extra-soft terry cloth fabric prevents damage to your car s finish. The reinforced thick elastic band is flexible enough for easy installation, yet strong enough to tightly cling to your polishing pad. The terry cloth material consists of large fiber loops, making these bonnets perfect for both applying and removing compounds, waxes, paint cleaners, and more. Remember when your car was the talk of the town? Remember WEN. 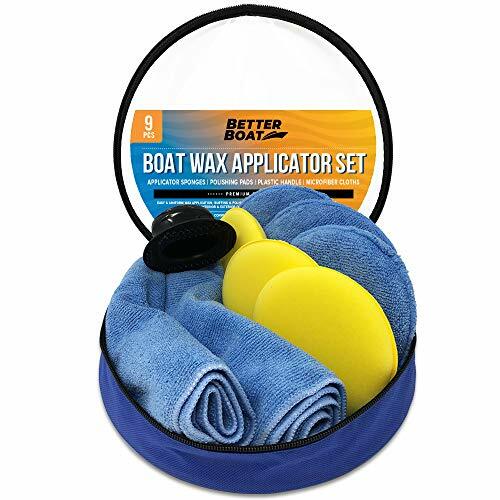 This 9 piece Boat Wax Applicator Set contains all the tools you need to apply wax to your boat or car including 3ct Microfiber Wax Applicator , 3ct Foam Applicator Pad , 2ct Buffing Cloths, 1 Easy Grip Handle which all comes in a space-saving compact zip bag, making it easy to stow away on a boat. The premium quality complete set is ideal for an even and uniform wax application of boat and car wax and polish , buffing compounds , sealants , tire dressing , conditioners , cleaners , caranuba car wax and more. The applicator sponges are made from premium durafoam that are ideal for applying waxes and conditioners on both the interior and exterior of boat. These high-density sponges ensure that the right amount of product is absorbed, delivering a superior, even application while reducing product waste. 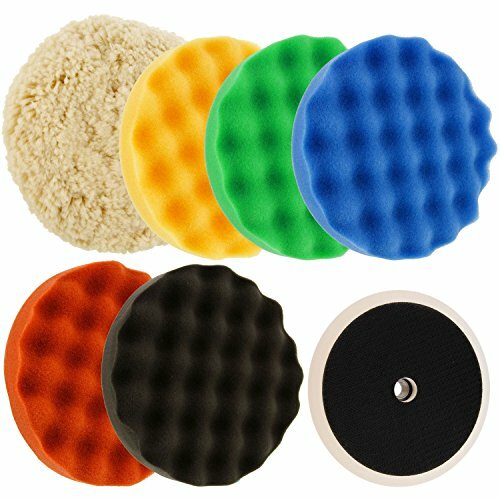 The premium polishing pads are made from soft microfiber fabric wrapped around a plush, durafoam pad and are suitable for wax application and removal. 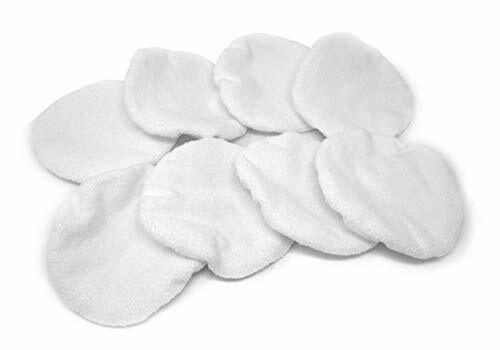 These ultra-soft, lint-free pads absorb wax residue to leave a glossy, gleaming shine. The pads are machine washable to allow for reuse. The ergonomically designed handle makes wax application more comfortable than a sponge alone while keeping hands clean. It also allows for greater control resulting in a more even application and is interchange with each application pad included in this set. The ultra-soft, lint-free cloths are made from an 80% poly / 20% polyamide blend and can be used in a circular motion as the finishing step to buff surface to a gleaming shine. This super soft cloth will never scratch or harm delicate surfaces. We proudly stand behind the quality of all our products with a 100% Manufacturer Money Back Guarantee! We are a family owned American business committed to making premium quality products. If you don't love our Boat Wax Applicator Set, simply let us know and receive a full, no questions asked refund. 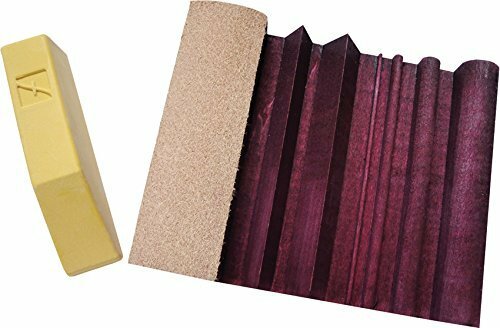 MACHINE WASHABLE: The durable sponges in this wax applicator pad and wax sponge set are washer friendly allowing use for multiple applications of boat and car waxes and polishes and liquid car wax. The ergonomic handle grips the waxing pads and microfiber applicators, making the application faster and easier while keeping hands clean or use as hand polishing pad. 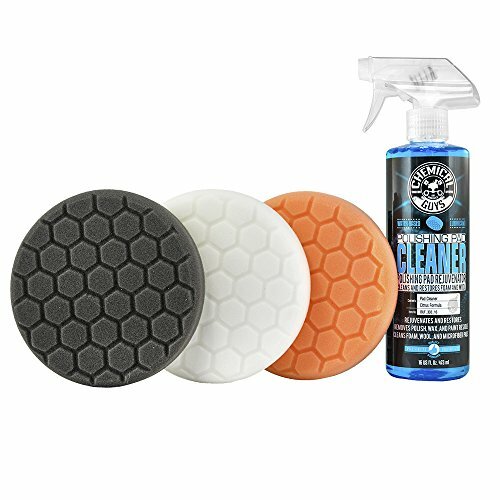 These application pads work great as a detail sponge to apply boat or car waxes , as a polish pad and leather conditioner applicator. SPACE SAVING DESIGN PERFECT FOR BOATS: All components fit neatly in a 2in x 10in diameter caddy for easy storage. 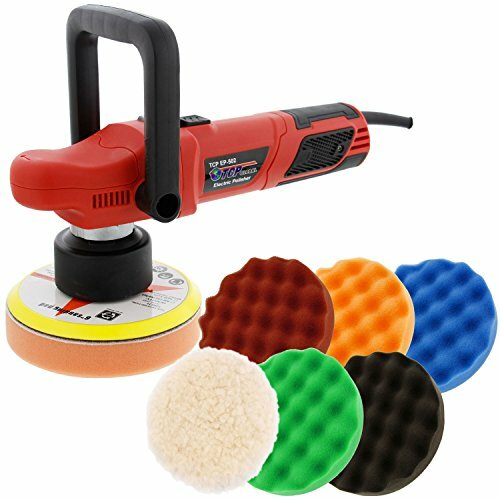 This multi-piece set of microfiber pads and foam wax applicators can also be used as buffing pads , staining pads and polishing pads. These ultra-soft pads absorb wax residue to deliver a superior, even application. Finish up by using the microfiber cloths to buff surface to a gleaming shine. We stand behind the quality of our boat cleaning products with a MONEY BACK GUARANTEE! THE BETTER BOAT QUALITY PROMISE: Better Boat offers a comprehensive line of premium quality boat care and wash products. Developed by boaters for boaters, our marine-grade products are made to strict, tested, trade-secret standards. We offer all the tools needed to make caring for your boat easier so you can spend less time cleaning and more time on the water. 100% SATISFACTION MONEY BACK GUARANTEE: We proudly stand behind the quality of all our products with a 100% Manufacturer Money Back Guarantee! We are a family owned American business committed to making premium quality products. If you don't love our Boat Wax Applicator Set or any of our boat accessories, simply let us know and receive a full, no questions asked refund. 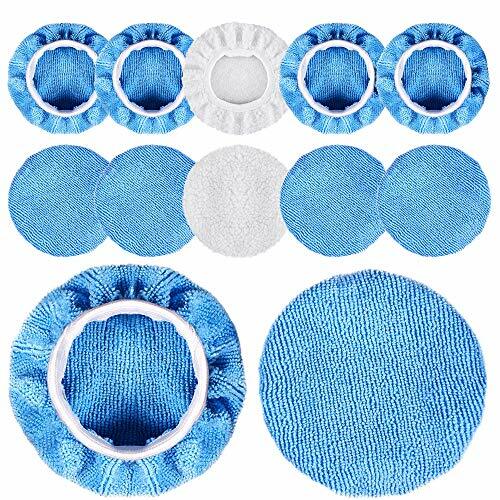 9 PC SCRATCH-FREE WAX APPLICATOR KIT: (3) 4.25in Yellow Round Soft Foam Wax Applicator Pads , (3) 5in Blue Microfiber Applicator Pads , 1 Grip Handle , (2) 25in x 9in Large Microfiber Buffing Cloths , 1 Zip Storage Bag. This complete set is ideal for an even and uniform wax application of boat and auto wax , polish , buffing compound , sealant , conditioner , cleaner , carnauba wax and more. It includes a handle for easy and neat application and 2 ultra-soft cloths that buff surfaces to a shine.